Do you have trouble finding things in your clothes closet because it is one, big mess? Do you have to rummage through a bunch of boxes to find that one pair of shoes, purse, or hat that you were looking for? Well then, something has to change! There is never a good enough reason or logical explanation as to why your closet is completely disorganized. The truth is that we often find it difficult to keep things in order! 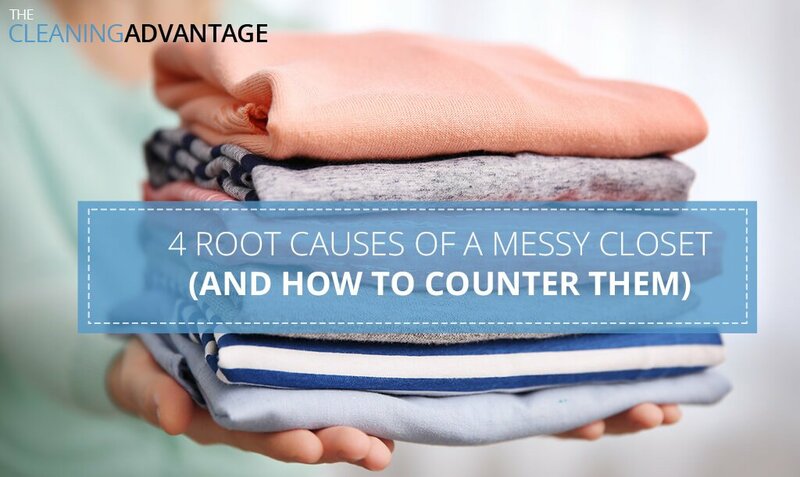 The only way around this is to identify the causes of an untidy closet and counter them with our useful organizing tips. Pull out all your clothes from the closet and separate them into two piles; used and not used/worn out. You will be shocked by the sheer amount of clothes that are taking up space in your clothes closet for no good reason! It is an excellent opportunity to further segregate them by using two boxes or bags; one for items to donate and another for things that are too worn out and need to be tossed out. On the other hand, seasonal attire (like summer clothes in winter time) can be stored in another closet or even in a plastic bin that is kept in another room just to free up your closet space. If you are not sure what you need and what you don’t need, use this hanger trick: Take all your clothes out and put them back in with the hangers facing one way. Then as you use it put it back in with the hanger facing the opposite way. If your closet has a covered bar that is connected to a shelf over it, then that will not work for you, but you could put all your clothes on the hangers with the front side facing towards one end of the closet and when you wear it, put it back in facing the other side. Then after a month or two, check your closet to see what you have and haven’t worn. Then pitch those clothes that are not worn. You are bound to mess up the some of your clothes if you are looking for something in a closet that lacks essential organizing. One simple way to start organizing your closet is to sort your clothes by type, using criteria that is good for you. For instance, I sort my clothes by dresses, skirts, pants, blouses, and sweaters. Then I also have a section for complete outfits, like those pants suits, and things that are always worn together. Other ways to store them is to sort them by color coordinating them, by occasions, or by length That way, you know where to look, and you won’t have to waste time finding what you need. There are a variety of closet organizers that you can consider for organizing your own clothes closet, things like cascading hangers that allow multiple garments to hang in one spot and hangers made just for scarves or belts. There are even plastic closet organizers that descent from a hanger to store your purses and shoes. Some closets are large enough to add a short bar that hooks onto the closet bar itself and hangs halfway down so that those things like blouses and sweaters can be hung on the top bar and the coordinating skirts and pants on the lower one. We all have boxes in our closets, but sometimes those boxes are just taking up too much shelf or floor space. It’s time to pull out all those boxes and decide which ones are essential to keep in that closet. Then label those boxes so you can easily tell what is in them! Perhaps it is just a matter of removing the items from those boxes and organizing them differently. Like those shoe boxes, for instance, is it time to get a stand for your shoes or an over-the-door shoe holder? Do you have a tall storage area on your shelf? If so you could consider adding another shelf to help store some of those boxes. Many stores sell shelves just for that purpose. Some tasks are just overwhelming! Cleaning out your closet takes time, and you just don’t want to take that time to organize it all. Besides what can you toss? You really should clean out your closet with each seasonal change (winter to summer, or summer to winter), or at least do it once a year. If you avoid cleaning it out, you may store too many things in it. You could forget what some of those hidden things are and then purchase the same thing (again) – since you did forget that you already had it! Don’t waste your money. All of those extra things are taking up space that you really could use a little wiser. Just use this list as a guide, and get that closet organized today!